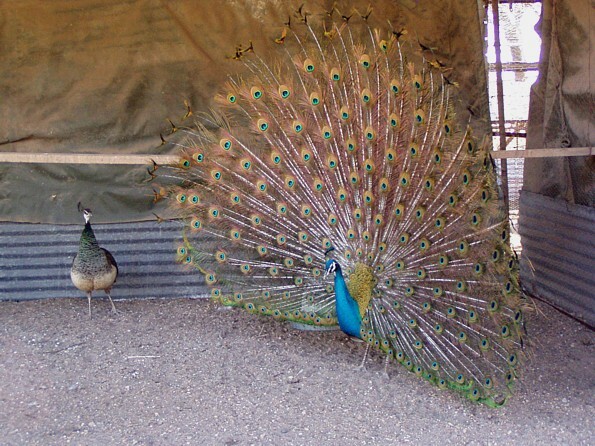 Bow's Peafowl Farm has quality peafowl for sale for either your enjoyment or breeding program. 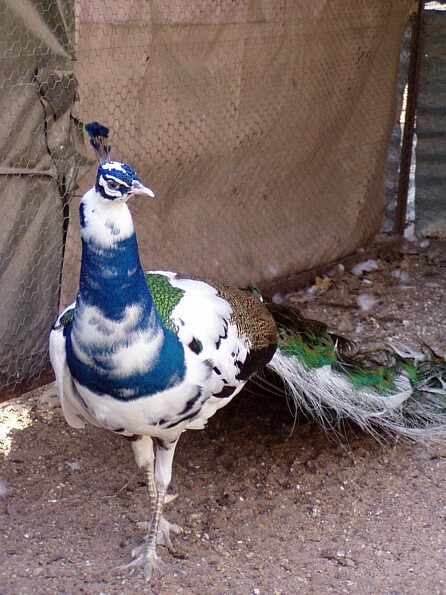 Below are pictures of the India Blue Pied, India Blue, White, and India Blue Blackshoulder Silver Pied Pied Peacocks. The male will not normally start breeding or have a full train until their 2nd and 3rd year. Please check out our current 2019 price list. 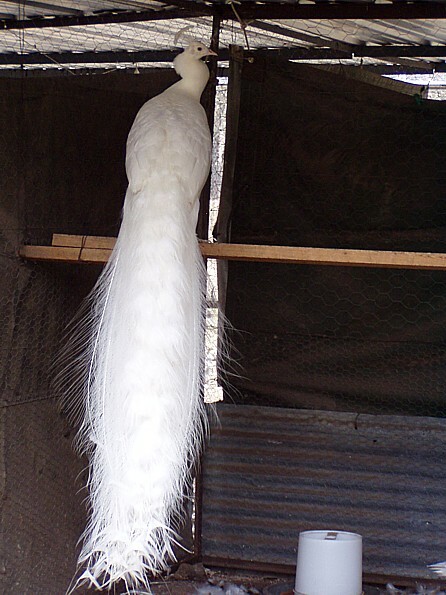 Feel free to email us with any questions you may have about placing an order or any questions you may have about peafowl in general. 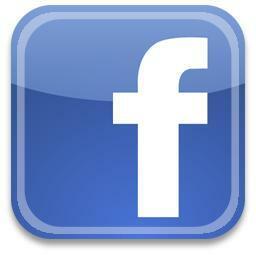 We are located in the heart of Texas. 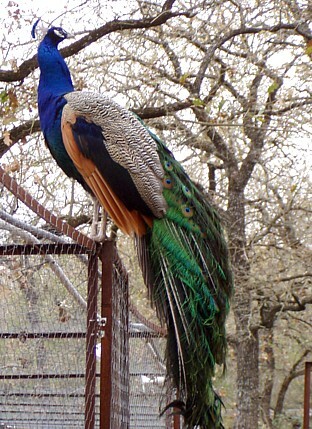 Peafowl can be picked up here at the farm, or shipped most anywhere throughout the United States. 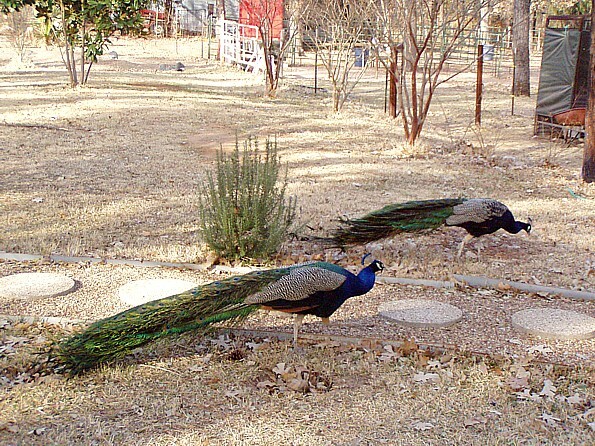 Bow's Peafowl Farm maintains only the highest quality breeding stock and produce offspring to give the consumer some of the best quality birds that can be found.